Dogs that start off at shelter already seem to have one strike against them. 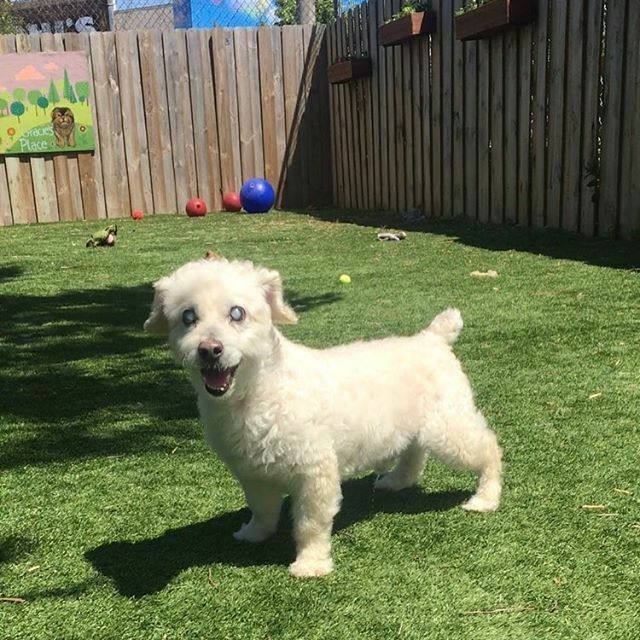 Whether the dog ended up at the shelter because it was lost and no one claimed it or the owner decided to just get rid of it, a shelter dog can have a hard time finding a new home. Erin Einbender, a consummate dog lover, took that task to heart when she volunteered at One Tail at a Time Dog Rescue in Chicago during her final year at the School of the Art Institute. 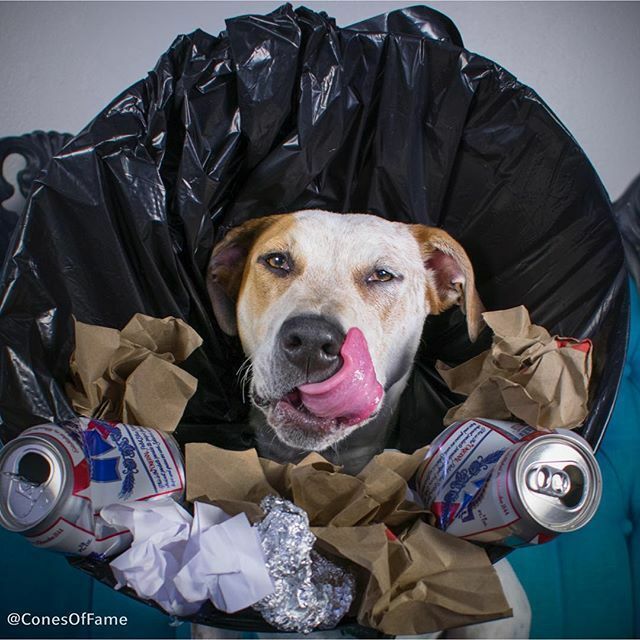 According to the Chicago Tribune, Einbender wanted to help the shelter find the dogs homes, so the animals became her models for her final photography project. Before her final photo shoot, Einbender took photos of all the dogs without cones, People states. Once that was one, she considered the problem of getting pictures of the dogs wearing "cones of shame" but wanting them to look their best. 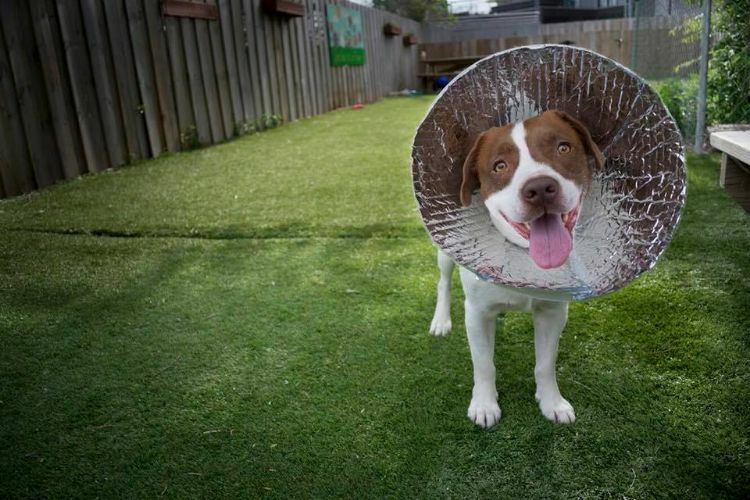 "All the dogs at One Tail at a Time, before they get adopted, get spayed or neutered, and they looked so sad in their cones," Einbender told the Chicago Tribune. 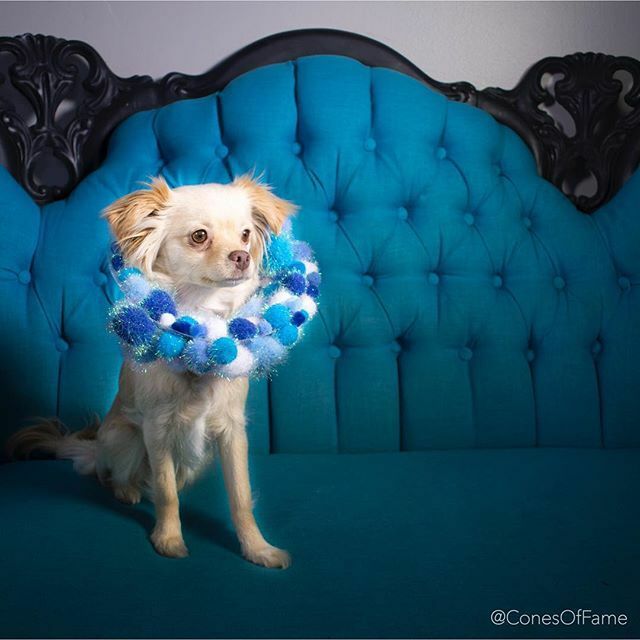 "I wanted to empower the dogs and help them get adopted because I know that good photographs help them get noticed." "I also wanted to show the importance of spaying and neutering pets because people associate the cones with shame and it's actually really important to spay and neuter your pet," Einbender said. She set about putting her knowledge of photography and social media to work for the dogs, helping find them forever homes. 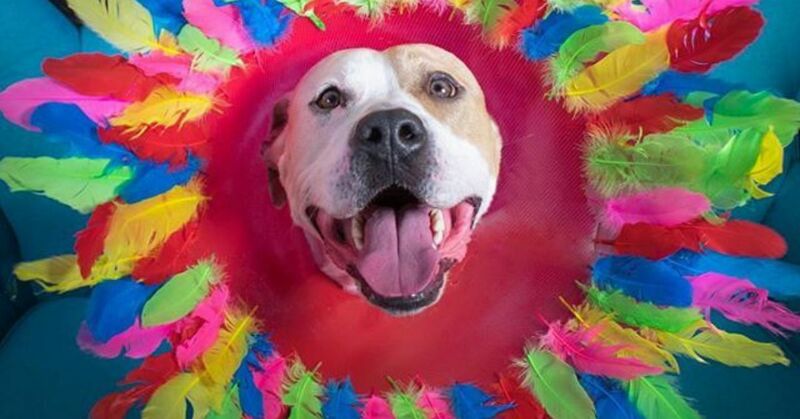 The dreaded cones of shame keep dogs from licking, sniffing and chewing areas, allowing them to heal after surgery or helping with other health issues. Einbender noticed that the dogs looked really sad while wearing these collars and decided to make the medical devices a bit more festive. She spent $200 to get supplies and a lot of hours filled with love to create 20 unique cones, according to the Chicago Tribune. 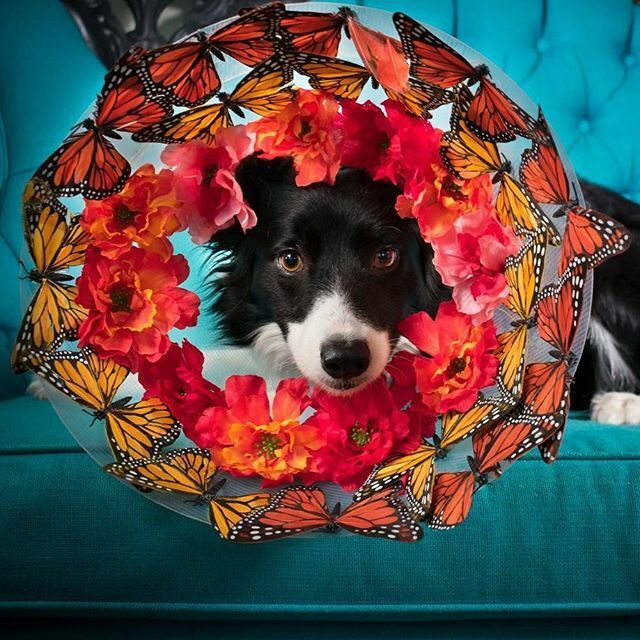 She photographed the dogs in the decorated collars. "I really did see a change in personality in the dogs. When I put them in front of the camera with these (decorated) cones on, some of them were even posing and smiling. It was really cute," Einbender said. The collars photos did the trick, and every single dog from the photo shoot has found a forever home. 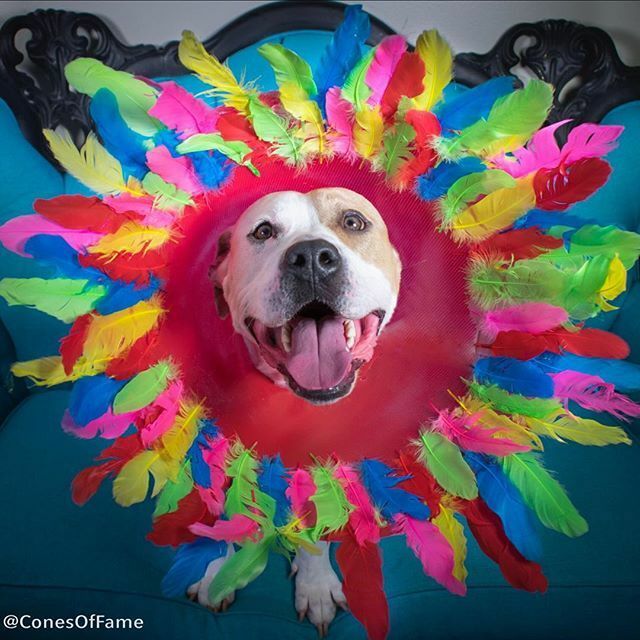 The cones of shame got transformed into cones of fame, and Einbender had the joy of helping these dogs find love.